If there’s anything that we do know, it’s that pirates love their gold. They search the high seas looking for the stuff and buried boxes of it everywhere they went so as not to robbed by other water-bound marauders. And when they lost a tooth what was its replacement? Gold. Next to Donald Trump and ancient Egypt, pirates hold high rank in the gold loving department. But were they correct in preferring to use gold in their mouths? Let’s take a look at the pros. Gold is exceptionally durable. Your fillings will generally last over a decade but could last a lifetime if taken care of and corrosion is impossible, so this is a great way to go. If aesthetics is more important to you than durability, gold will always win out over silver. Point to the pirates. However, with every pro comes a con. Gold costs a lot more than silver and takes longer to set the filling. Like, two entire dentist visits to set the filling. But if you can handle the extra cost and time required, grab yourself a bottle of rum. You are team pirate. But what if you aren’t in the market to look like a pirate? 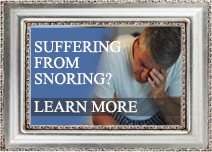 Well then, porcelain fillings are where you should be heading. This tooth-colored filling is not only tough like the precious metal, but it is more versatile when it comes to where you can use it in your mouth as it isn’t as obvious as a gold one. The price point is somewhat similar as well. Something that does not compare is the fact that porcelain does not adjust to hot and cold and won’t wear down as quickly as their metal counterparts. Even the installation is kept to a minimum. In fact, the American Dental Association believes that porcelain fillings are the most wear-resistant fillings on the market. Looks like porcelain has a bit more of an edge over the golden version. There are a few factors that will lead to your final decision. Making sure you have all your options is the most important and your dentist will have those options for you after a quick checkup. 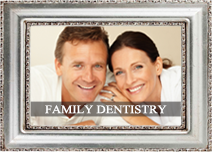 Regardless of the choice you make, if you need a filling done, see your dental professional as soon as possible. The longer you wait, the more damage you can do to your teeth. Whatever you decide to use to fill your tooth, with proper oral care, your fillings will not only be taken care of for years to come, but your teeth will be so healthy you won’t need any more fillings. Two birds! If you need to have porcelain fillings done, contact Dr. George Kirtley at 317-841-1111 to schedule a consultation to help treat the underlying cause, or visit www.smilesbygeorge.com for information about Dr. George Kirtley and his practice. 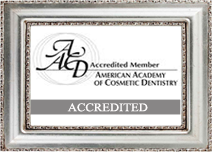 Dr. George Kirtley proudly serves Indianapolis, Spring Hill, Beech Grove, Wynnedale, Speedway, Rocky Ripple, Warren Park and all surrounding areas. Sealants, also known as dental sealants, are made out of a plastic material that’s placed on the molars and premolars for added protection against tooth decay. The main reason why sealants are primarily placed on the permanent back teeth, or the molars and premolars, is that these teeth have fissures or grooves. These deep fissures or “pockets” can trap bacteria and food particles, as well as are difficult to clean. This combination makes the permanent back teeth vulnerable to tooth decay. Although using fluoride toothpaste and getting fluoride treatment at the dental office does help provide protection to all the surfaces of your teeth, your permanent back teeth need extra protection and that’s where dental sealants come in. Dental sealants help make sure that the grooves and fissures are not at more of a risk for plaque buildup and tooth decay as your other teeth are. Are dental sealants applicable only to the permanent back teeth? Although dental sealants are usually placed on the premolar or molars, dental sealants can also be used on other permanent teeth, so long as they have grooves or pits. In some children, for example, their baby teeth may also have grooves that could benefit from having dental sealants placed on them. 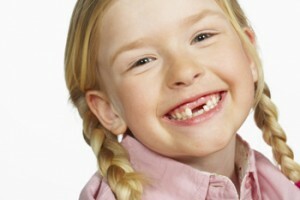 Are dental sealants exclusive to children? No. While children are the ones who usually get dental sealants on their molars and premolars, adults too can sometimes have dental sealants placed on their back teeth. That is, if their teeth with grooves and fissures do not have fillings or dental sealants yet. The dentist first cleans the tooth surface thoroughly using a paste and rotating brush. Then, the dentist washes the tooth and lets it dry for a few seconds or minutes. The dentist then appliances an acidic solution on the grooves of the tooth’s chewing surface. The solution is left there for a few seconds before the dentist rinses it off. The use of the solution helps create small microscopic areas in the grooves and fissures, as well as fine rough surfaces. The rough surface and microscopic areas help the dentist attach the dental sealant to the tooth. Once the tooth has completely dried up, the dentist places the dental sealant on the tooth. The sealant is then hardened using a light. Although some dentists may choose to use a two-component dental sealant that sets and hardens on its own. Once done, your dentist will send you on your way and you can chew on your tooth again as you did before. Dental sealants have been used to great effect since the 1970s. There are enough studies to show how dental sealants can help tremendously in lowering one’s risk for tooth decay, essentially preventing it on the chewing surfaces it’s applied to. Dental sealants have also been known to last for years, if not decades. Although if you want and if deemed necessary, the dentist can place a new dental sealant on your permanent back teeth. While dental sealants and fluoride treatments tremendously help lower your risk for tooth decay and other dental problems, it’s still important to take proper care of your teeth at home and to visit the dentist regularly for checkups and professional cleaning. Gum disease is an inflammation of the gums and is caused primarily by the bacteria found in plaque. If you didn’t already know, plaque is a colorless film that constantly forms on your teeth. The more often you brush your teeth, the less time that plaque has to build-up on your teeth and the lower your risk is for gum disease. If, however, you let plaque buildup by not brushing and flossing every day, the bacteria can end up infecting your gums, teeth and eventually, the tissue and bone that support your teeth. The result? A severely infected tooth that has to be removed by a dentist, or in worse cases of infection, the tooth may fall off on its own. Gingivitis. This is the earliest stage of gum disease and is also when the inflammation of the gums are evident, mainly due to plaque buildup at the gumline. The resulting infection also causes the gums to bleed as well, which you may notice when you’re flossing or brushing your teeth. It is important to note that gingivitis is still reversible, but only through proper dental care and by observing proper oral hygiene at home. 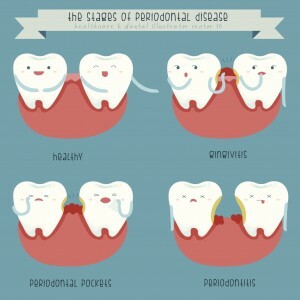 Periodontitis. At this stage, the damage is usually already irreversible. There may also form pockets below your gum line, which can trap food and plaque and make your condition much worse. Frequent visits to the dentist and improved oral care at home is important to help prevent further damage to the teeth and gums. Advanced Periodontitis. This is the final stage of gum disease and is where the infection has not only affected, but has already destroyed the fibers and bone supporting your teeth. This can result into your teeth shifting or being loose, which can severely affect your bite and eventually cause tooth loss. 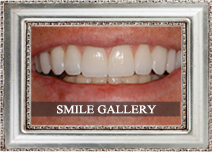 At this stage, aggressive and constant periodontal treatment is the only way to save the infected teeth and gums. Although treatment is not always enough and the infected teeth may already be beyond saving. 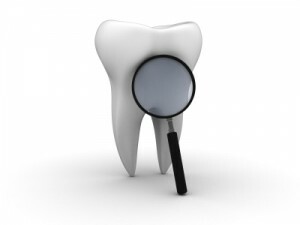 How Do You Treat Gum Disease? Gingivitis, as mentioned earlier, can still be reversed via proper brushing and flossing. Rinsing with mouthwash isn’t necessary, but will still help. If you take proper care of your teeth and gums, you’ll prevent plaque from building up in your mouth and prevent, or even reverse, gum disease. If, however, you have failed to take proper care of your teeth and let plaque buildup and let it harden to become tartar, your only option is to go to a dentist for a professional cleaning. The only way to remove tartar that’s found above and below your gum line is to scale your teeth. If scaling isn’t enough, a root planing procedure may be necessary. This is a procedure that will help smooth out any irregularities on the roots of your teeth to help prevent plaque buildup in the future. As early as today, make the necessary changes to your oral hygiene and take better care of your teeth. Brush your teeth at least twice a day, floss once and rinse with mouthwash, preferably one that’s prescribed to you by your dentist. If you do all these, and visit your dentist regularly, you significantly lower your risk for gum disease. Also, in the off chance that you do have gum disease, you increase the chances your dentist catching and treating the infection before it spreads and causes serious damage to your teeth and gums.